Against a side riding high in a division higher than them, Bridges dared to dream for long periods of this Senior Cup tie as they thoroughly deserved to lead at half time before their hosts upped a gear or two to turn the game around. Bridges showed their intent as early as the seventh minute when Liam Collins’ excellent ball down the right flank was taken on by Connor French, who saw his shot blocked by keeper Dan Lincoln and his defence. Bognor responded with efforts from Mason Walsh and Dan Smith which were comfortably held by James Shaw, who then had to make a superb tip over to deny Jimmy Muitt. But Bridges were in confident mood with Ibby Akanbi looking notably dangerous, one great run seeing his final shot deflected for a corner by Tommy Block. From the corner, Olu Oluwatimilehin rose to head powerfully and this time it was Lincoln who had to make a brilliant save. But from another corner in the 22nd minute, the visitors took the lead when the ball was only partially cleared. Alex Clark took the opportunity to stab the loose ball goalwards and Antone Douglas drilled home past a helpless Lincoln. Smith and Harvey Whyte both wasted chances for the home side, whilst French was just wide after another fine ball down the right by Collins. And two minutes before the interval Collins played another good ball to Akanbi, who hit a glorious long ball from right to left, where Clark marked his debut with a well taken goal. One sensed that the half time chat in the Bognor dressing room would be lively, and they came out looking much more like a promotion chasing side. Substitute Doug Tuck made a difference, but the man who was pulling all the strings was diminutive midfielder Freddie Read. 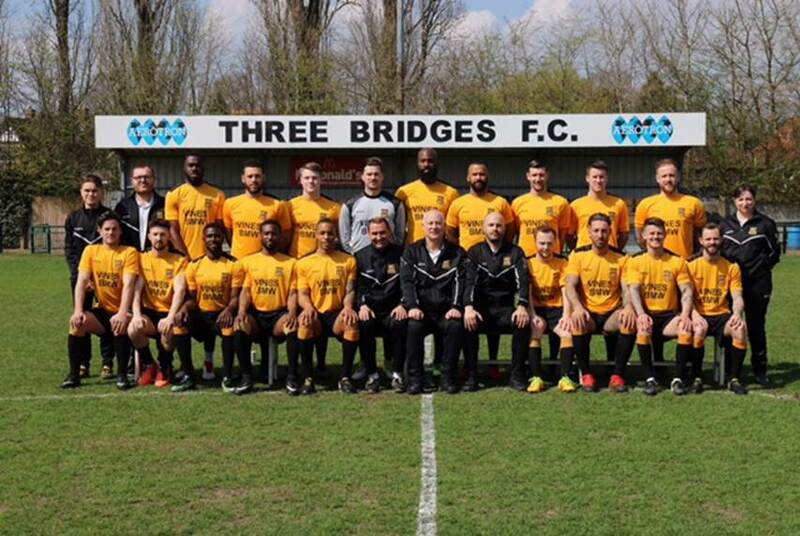 Bridges suddenly found themselves on the back foot and James Shaw made a number of excellent saves starting with one to keep out a Chad Field header. But within five minutes of the restart, a lovely curling effort from the left by Mason Walsh gave the home side hope. Tommy Scutt was denied by Shaw as Bognor started to believe, and after 54 minutes Block took advantage of poor marking to meet a Walsh cross and head home. Shaw continued to deny Bognor’s now constant array of shots, but after 71 minutes another cross was met by the head of Dan Smith for the winner, leaving Bridges to wonder just what might have been! Aerotron Man of the Match: James Shaw.